A few weeks ago I attended the launch of Elizabeth Gowing’s delightful book, Travels in Blood and Honey: Becoming a Beekeeper in Kosovo. 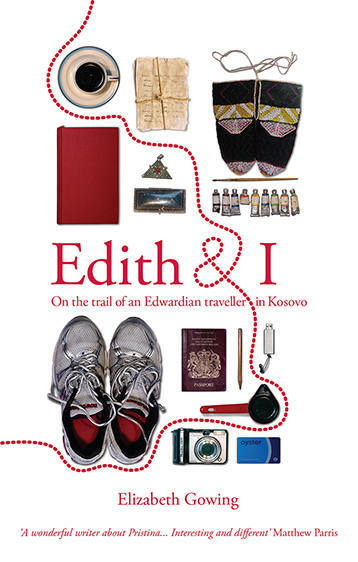 The book shows Elizabeth immersing herself in Kosovan life as she sets up home; grapples (impressively) with the languages; forms lifelong friendships; discovers new recipes (which nestle deliciously at the end of several chapters) and steers her way through social customs and expectations. Most crucially to her story, a birthday gift of a beehive from Rob leads Elizabeth to an informal apprenticeship in beekeeping with a local family. Learning this delicate art, she meets other beekeepers: political activists, former guerrilla fighters, people who have been victims of human trafficking, and a group of women who teach her how to dance. It is through the national language of beekeeping that Elizabeth starts getting to the heart of Kosovo, its history and its hopes for the future. I adored the book. Emerging profoundly from its pages, aside from Elizabeth’s deepening love for Kosovo, is her warm and likeable narrative voice. I am more than happy to see the country and its people through her eyes – although her vivid writing has also made me want to experience Kosovo for myself. Elizabeth is available for book signings and honey tastings this summer. You can contact her via her blog, One Hundred Days of Honey. Elizabeth signs my copy of her book. Image courtesy of Elizabeth Gowing. Copyright Geraint Davies.